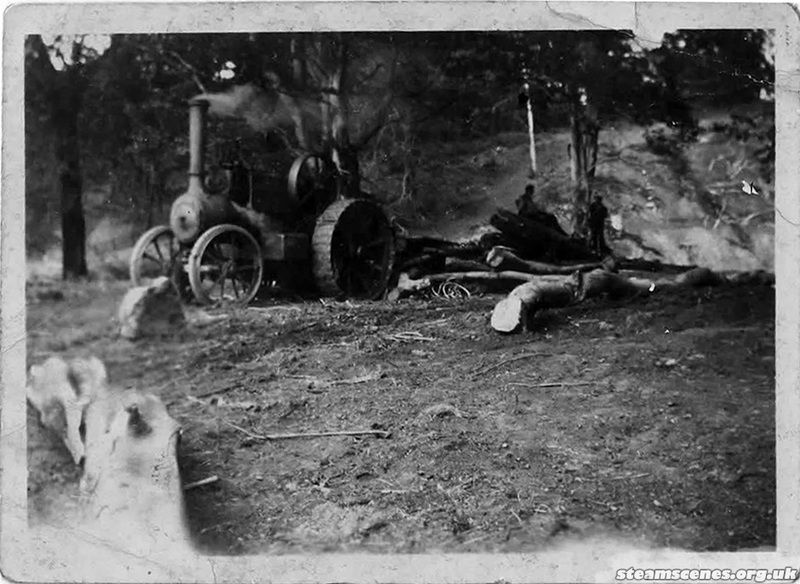 Several working pictures all believed to be of McLaren traction engine 1526 belonging to a company called Dryden Ward who worked around Wolsingham in County Durham. The engine was known by it's drivers as General French. 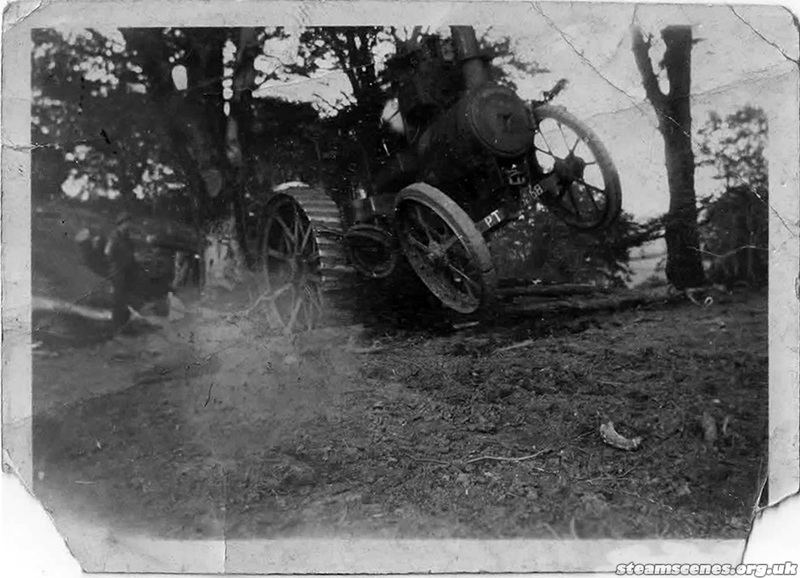 The first two pictures seem to show the engine on timber hauling duties, the first picture being a particularly dramatic wheels in the air shot of the engine working very hard pulling out tree stumps. "As a little anecdote she also told me that my grandfather was prosecuted for a driving offence on the traction engine, she's not sure of exactly what happened but it involved Lady Steel (from Steels of Wolsingham) who claimed she didn't see him indicate he was turning right and that he should have been wearing white gloves!!!" 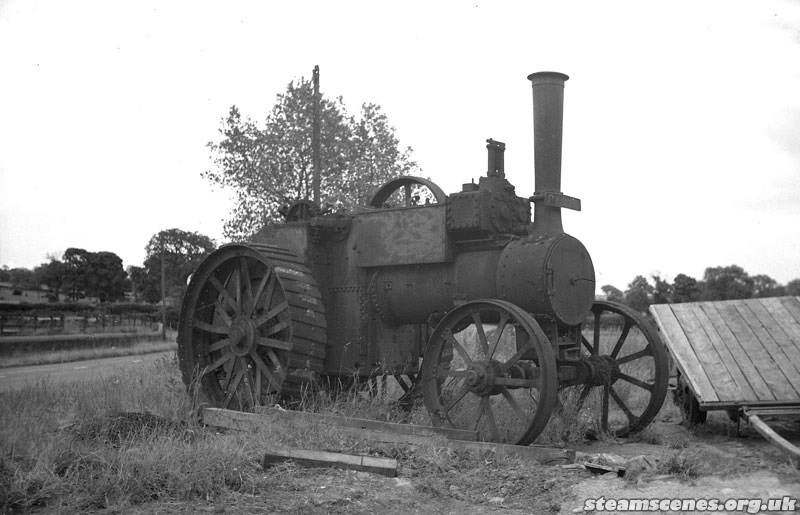 The final picture shows the engine very late in it's life shortly before is was scrapped because of a worn out firebox this was as late as the 1950's. 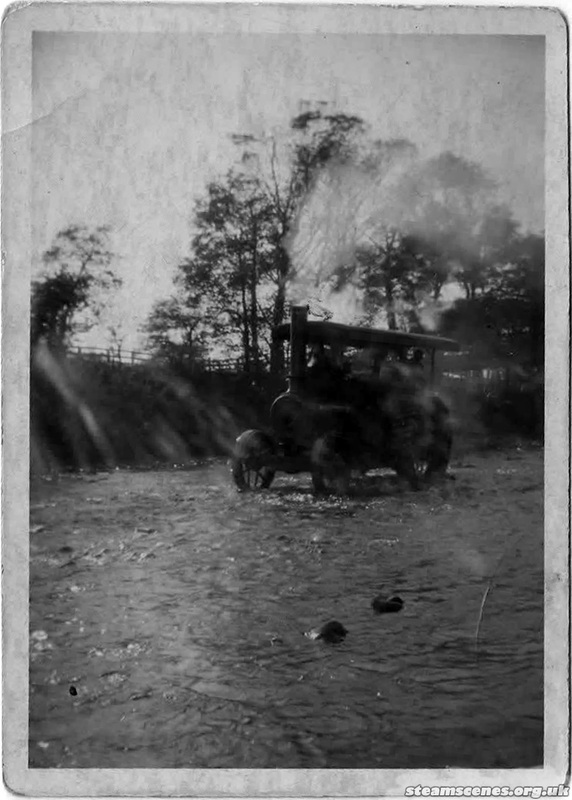 You can just about make out the registration PT 6568 which is in both sets of pictures. Several parts of the engine were used to restore another McLaren, 1713 which is now a showmans conversion called The Banshee. If you can add further detail to any of the above please get in touch. It was 1713 which was called "General French". Built as a crane engine and converted by Dryden Ward. Just to note that Dryden Ward was the owner's name . In that part of the world a son will often get his mother's maiden name as a first name , as , for instance , Forster Charlton , Parkinson Bates , Dryden Ward , and even Siddle Codrington Cook , who got a double dose . There was a family called Raper around Consett , which caused a few embarassments . Dryden Ward not only used traction engines, but was the first to use elephants to drag timber out of the Forests in England. When his son, Desmond died tragically in 1970 the business gradually ran down and the timber business went bust a couple of years later. Desmond’s only son (he also had two daughters) wanted no part of the business and set up a business o& his own selling workwear, which his son in turn still sells. This is an extremely extraordinary affair for me. I generally love the music site and hoping to discover these kind of article and researchwritingkings.com offer well task. I gather many astonishing tune frame edge application. You shared one additionally fascinating tune that you shared here. I am college-paper review really enjoying reading your well written articles. I think you spend numerous effort and time updating your site. I have bookmarked it and I am taking a look ahead to reading new articles.